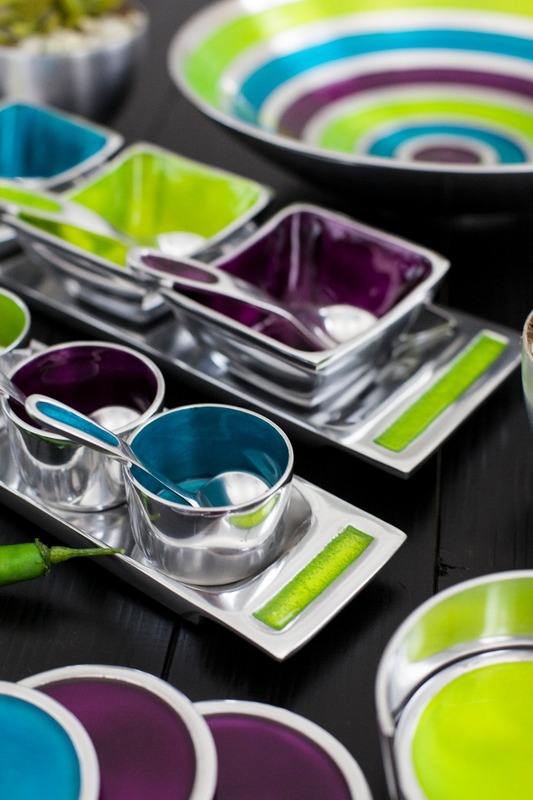 Oh So Pretty is a Cheshire based company offering contemporary homewares since 2006. Oh So Pretty’s vision was, and still is, to provide contemporary yet affordable homewares. 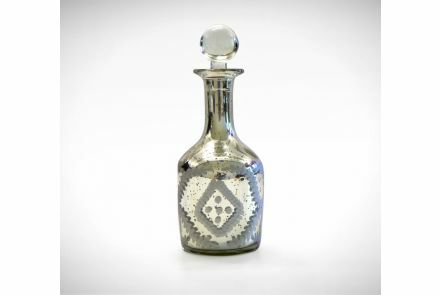 The range of homewares grew with the popularity of the business, moving premises 4 times within 7 years due to high demand for products and not enough space for stock. Oh So Pretty has an extensive range of unique homewares that you won’t find anywhere else. 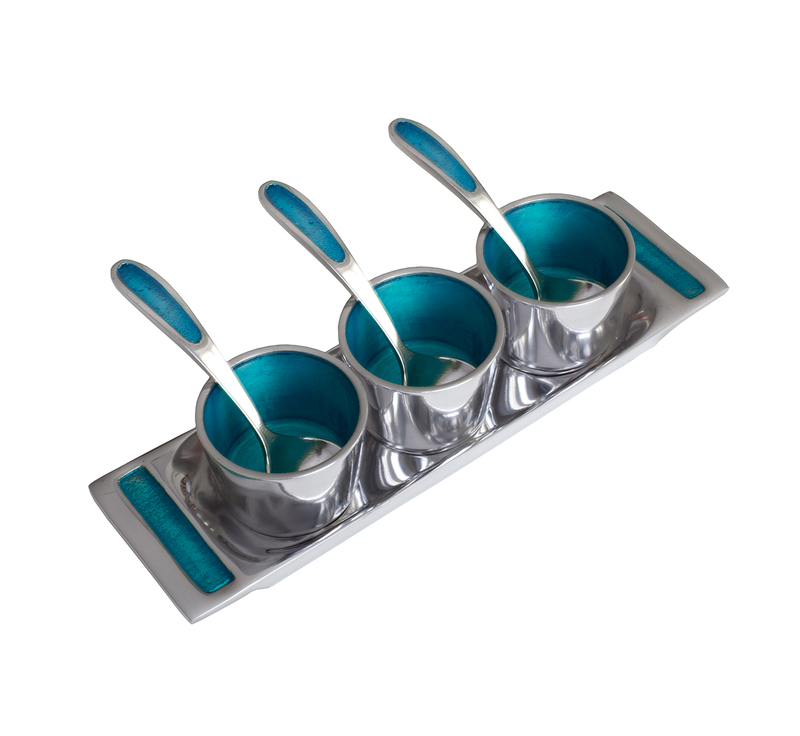 What a perfect way to serve those sauces that complement your beautiful dinner! 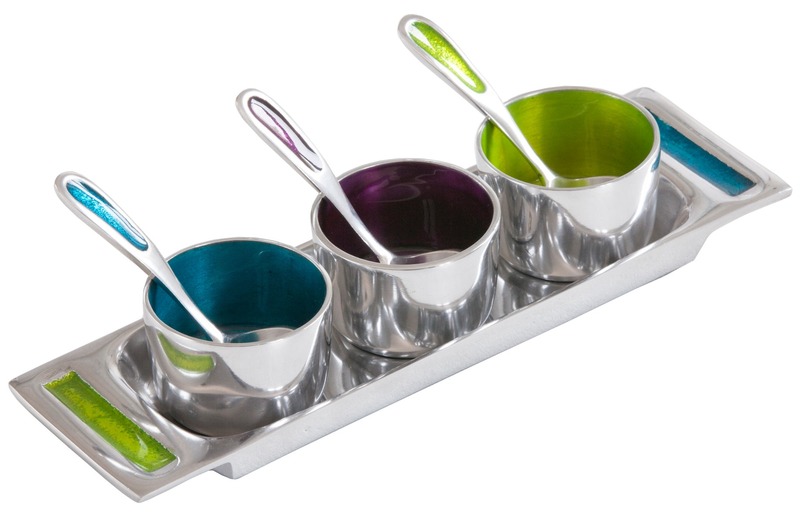 This stunning condiment set comes with three pretty little pots, each with its own matching spoon. 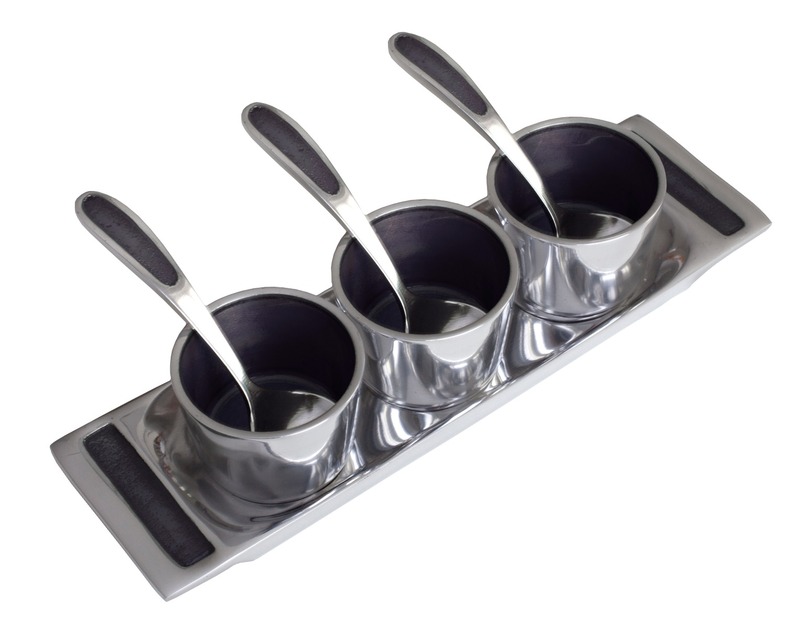 Being made from aluminium, this condiment set is light and easily passed around the table. With other, equally stunning items available, this range is perfect for the contemporary host. ​[Care] Certified food safe. Hand wash in warm soapy water. Not dishwasher safe. 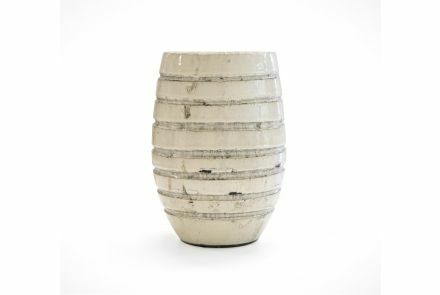 A strong yet beautiful ceramic planter which is perfect for both indoor and outdoor use.